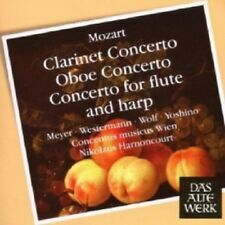 Nikolaus Harnoncourt, Concentus Musicus Wien, Handel, Alexander's Feast. Классическая музыка. Издание содержит 20-страничный буклет с дополнительной информацией на английском, немецком и французском языках. 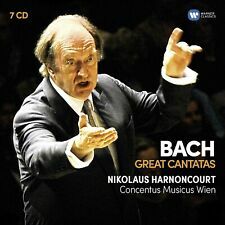 Купить "Nikolaus Harnoncourt, Concentus Musicus Wien. Handel. Alexander's Feast (2 CD)"
Buy It Now for only: US 2 280,10 руб. Buy It Now for only: US 421,20 руб. Buy It Now for only: US 1 659,37 руб. Buy It Now for only: US 1 161,43 руб. Buy It Now for only: US 937,90 руб. Buy It Now for only: US 1 190,73 руб. Buy It Now for only: US 1 132,71 руб. Buy It Now for only: US 540,45 руб.